Rinse the kombu thoroughly under running water. If it is dried, soak it in a container of water for 10 to 15 minutes to rehydrate it. 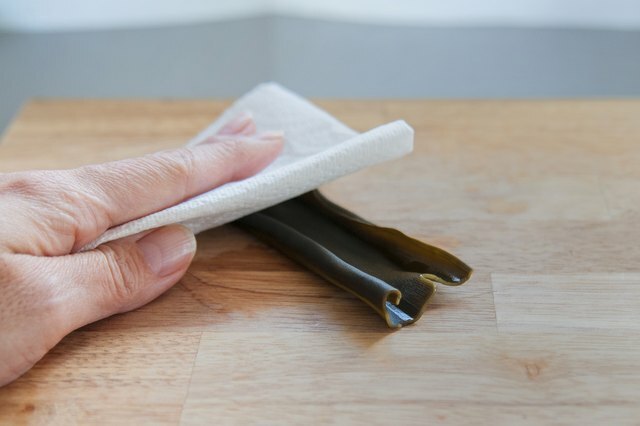 Remove the kombu from the water with a large spoon, and place it on a clean cutting surface. Pour the water into a jar with a lid and refrigerate for up to three days. 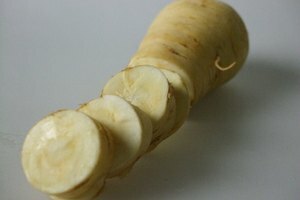 It can be used as a soup stock. 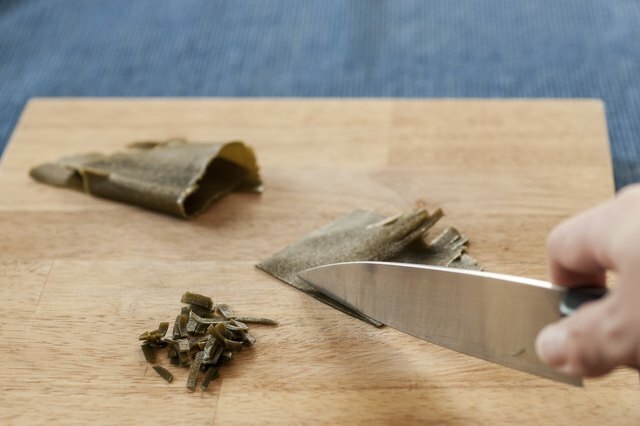 Cut the kombu it into thin, bite-size strips with a knife. Add the desired amount of strips to your favorite salad or use them as a garnish for a soup. Rinse the kombu thoroughly under running water and place it on a clean cutting surface. 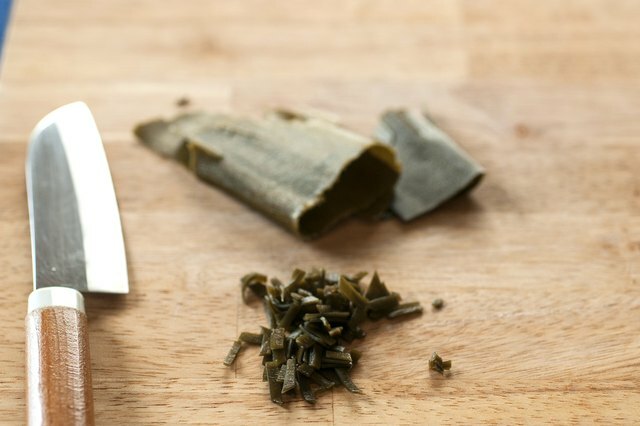 Chop the kombu into bite-size pieces. Add the kombu to a stir-fry of onions and peppers. 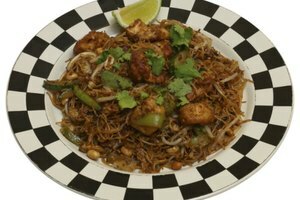 Stir fry until tender and then eat with rice. Or, add 2 teaspoons of chopped kombu to a pot of raw beans and water on the stovetop. After approximately two hours the kombu will break apart and mostly disintegrate into the water. Remove the remaining pieces of kombu with a spoon or eat them as you eat the beans. 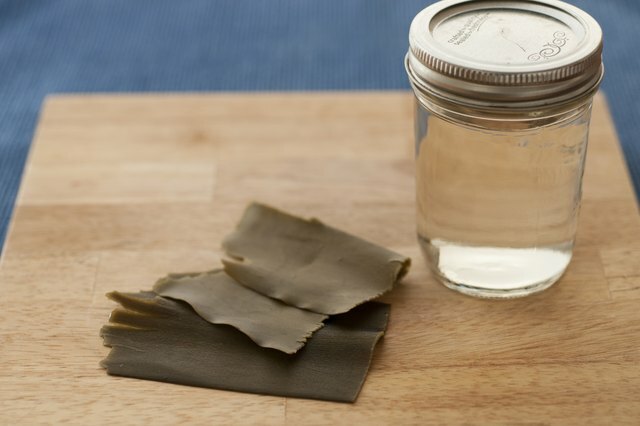 Rinse the kombu under running water, pat it dry and place it on a cutting surface. Chop the kombu into small pieces and place them in a dry skillet over medium heat. 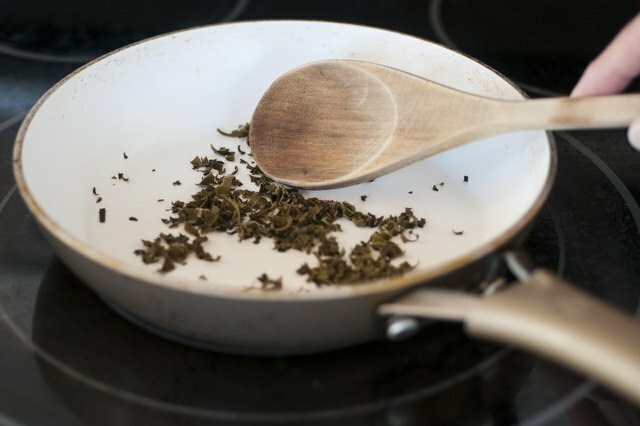 Stir the pieces of kombu with a spoon until they become crisp. 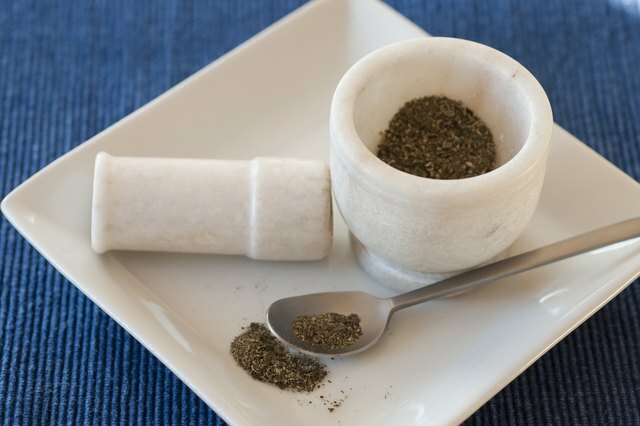 Transfer the crispy kombu pieces to a mortar and grind them into a fine powder with a pestle. 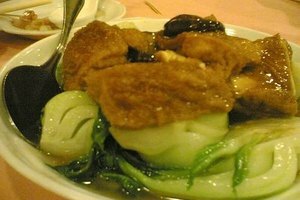 Sprinkle the powder over food, such as rice or vegetables, as a seasoning. 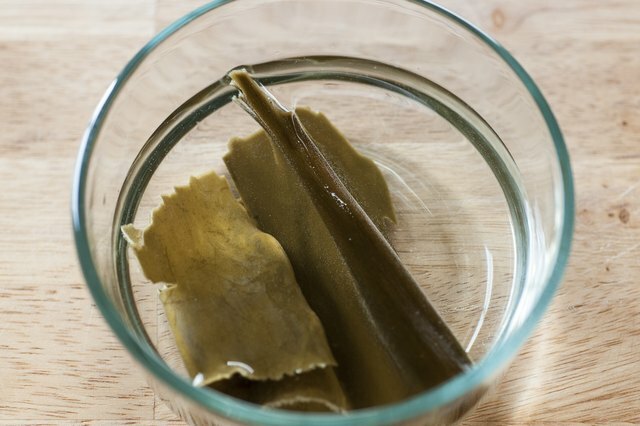 If you're adding dried kombu to soups or stews or other dishes with plenty of liquid, you don't have to soak it first. Dried seaweed greatly increases in size when soaked. Take this into account when preparing it. 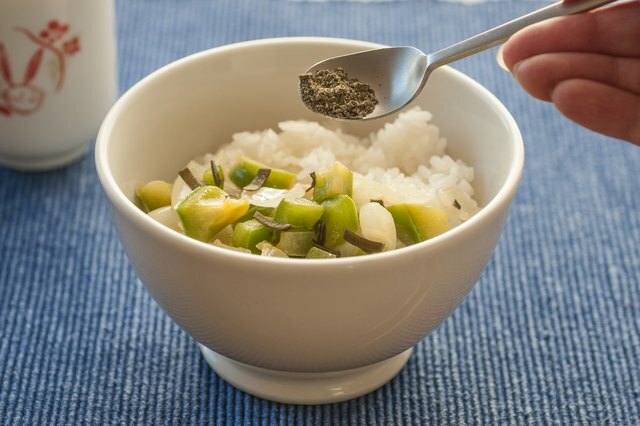 Soaked kombu may be wrapped around vegetables as an appetizer. Fresh kombu can be pickled. 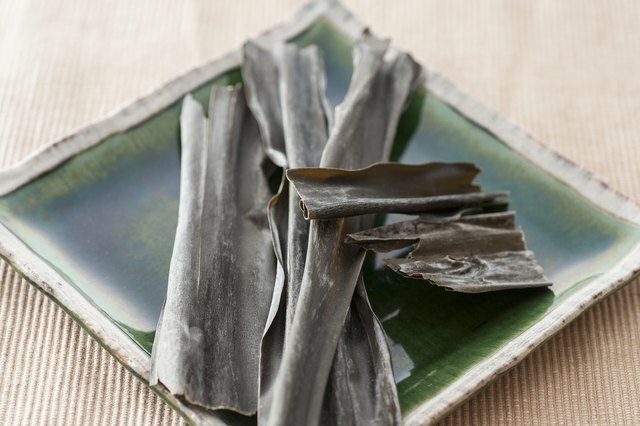 If dried kombu has a salty white coating, wipe it off before you cook it.